The SatTracker Dome as with all domes on the market has a limited satellite range in comparison with larger Dish Satellite Systems and as such are sold mainly for UK and Northern France use only. The SatTracker Dome is receiver independent so you can use your own Receiver, Sky Plus or Television with a built- in satellite receiver, such as an Avtex DRS T.V. The Dome has a Twin LNB output giving the option to record one channel and watch another (even on the move or static on your pitch). You can also enjoy different channels on two separate T.V’s at the same time with the added advantage of motion tracking, so your passengers can enjoy T.V whilst on the move. When in poor terrestrial radio reception areas you can enjoy radio reception via the SatTracker’s Satellite Receiver. The quality of build is in line with the best on the market and the SatTracker Dome is ideal for those who want reception on the move. 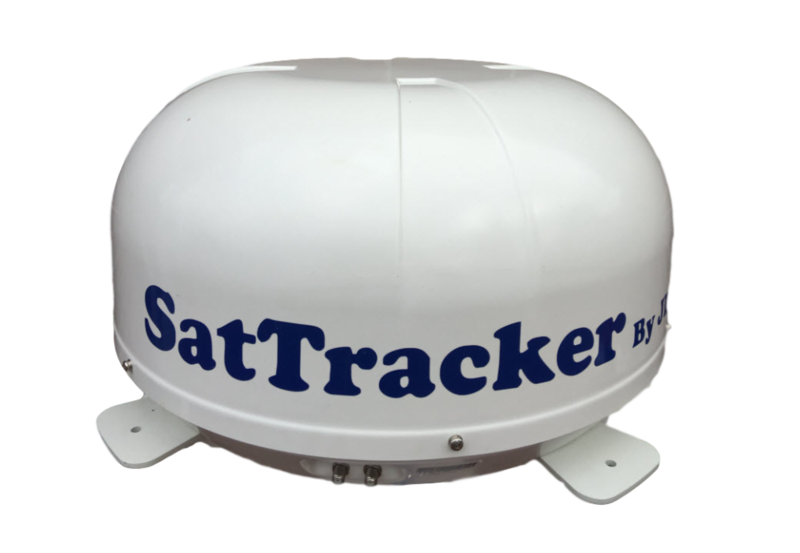 The SatTracker Dome is also highly suitable for inland waterway vessels, coaches and hospitality vehicles.